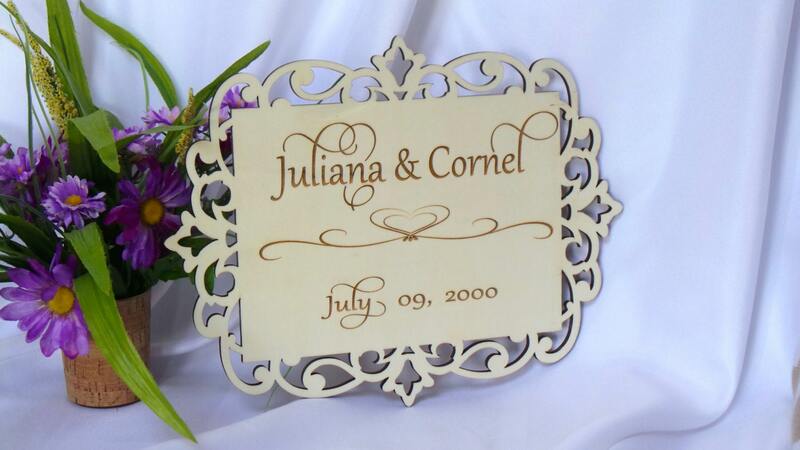 Our beautifully crafted & engraved wood plaque will sure make a great gift 5th anniversary gift, bridal shower gift and master bedroom decor for the special couple in your life. Size: 11 inch wide x 8.5 inch tall x 1/4 inch thick. ** Please let us know the name you would like on the plaque and the date in the message to seller at checkout. Want something else engraved on this plaque? We love custom orders just contact us!